Newcastle’s Mill Volvo Tyne Theatre has a new operator, it has been announced. As of this week, the venue will be managed by a trust set up to preserve the Grade 1 Listed Victorian theatre. 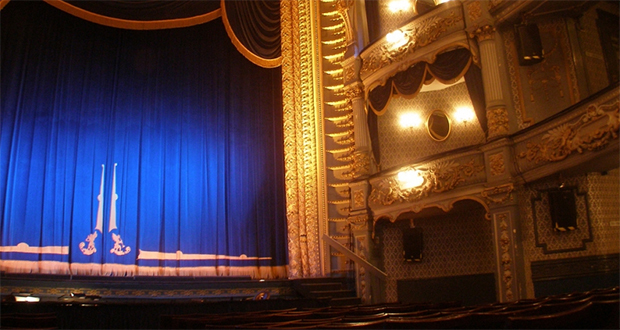 Now going by the name Tyne Theatre and Opera House, the theatre will be operated by Tyne Theatre and Opera House Ltd – set up by the Tyne Theatre and Opera House Preservation Trust to run the popular venue. The company recently purchased the building from Newcastle City Council, with the help of a council loan. The theatre’s former operator, SMG – the largest operator of entertainment venues in Europe – confirmed last summer that it was not planning to continue its association with the venue when its 10-year management contract ended. Under the new management scheme, any profits will be transferred back to the trust to support the building’s maintenance. Formed in 1976 after the theatre was threatened with closure, the trust successfully won a bid to turn the have the building listed. It now plans to continue restoration work by applying for Heritage Lottery funding, despite two previous failed attempts. The venue’s new owners are promising to continue to fill its diary with “the best in live music, comedy and theatre as well as some exciting other events”, with the likes of Count Arthur Strong, The Basil Brush Show, and Stewart Francis already due to appear in the coming months. Because of the new arrangement, the Tyne Theatre also has a new website, which you can see by clicking here.